Hey guys, dycaite here with the final notice board post for 2016! First things first: on behalf of all of us here at the Lost Media Wiki, I'd like to wish everyone a very Merry Christmas and a Happy New Year! 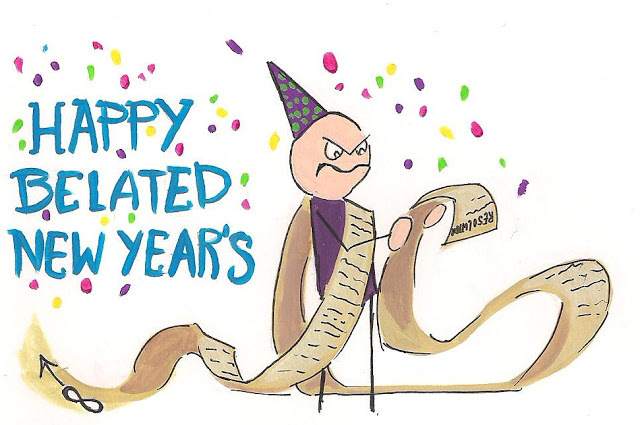 2016 has been a BIG year for lost media findings (and for the site's growth) and it wouldn't have happened without all of our passionate readers and contributors, so to you all, we are very thankful. I would also personally like to give thanks to everyone who has written about the site, or given us a mention on YouTube this year (particularly Abraham Riesman, Sebastien Wesolowski, blameitonjorge and Pan-Pizza); I appreciate the exposure more than words can convey. But now, let us celebrate with a Christmas episode of the Lost Media Chronicles, some Christmas LMW-tan art and a roundup of all the news from December (and brace yourselves, there's a lot of it). The Adventures of Paddy the Pelican in "Two Wet Bears"
A bootleg recording of the All Dogs Go to Heaven extended Hell scene has been put online! It was recorded by Tumblr user SteamRunner, who was shown the clip by their animation lecturer (who worked on the film). Big thanks to both for getting this out in the open and also to YouTuber GustyPL for mirroring it (as seen above)! Kate Plays Christine (ie. one of the two Christine Chubbuck Sundance films) is now out on DVD and iTunes (for either digital rental or purchase)! I watched it myself a week or so ago and found it to be both fascinating and engaging; it also contains the most footage of Christine available to date and is definitely worth checking out, if not for that reason alone. All 13 episodes of The Mr. 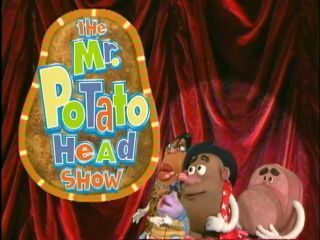 Potato Head Show have been found! Links to the respective episodes can be found on the show's article; big thanks to LMW users Paroos and Luray and to their anonymous source for unearthing these! 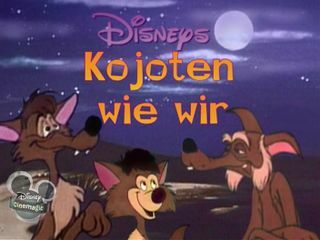 A German copy of Coyote Tales has been found online! Though this copy does not contain subtitles, it is most definitely a good step in the right direction; thanks go to LMW user Soul Rhythm for the tipoff and MEGA mirror! 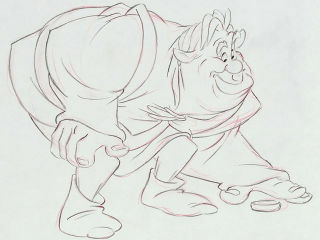 More Chris Farley era Shrek sketches have surfaced! Thanks go to LMW user unclesporkums for finding these images throughout a number of online sources and letting us know of their existence! High quality English audio from "Minnie Takes Care of Pluto" has surfaced! The audio comes courtesy of YouTuber pshq and now the short can now finally be seen in it's intended quality (via a Polish TV rip spliced with the high quality English audio, seen above)! Thanks pshq! A copy of the unreleased Akira Game Boy game has been obtained by collector Patrick Scott Patterson! While the game has not been dumped as of this writing (and it's unclear if a cart dump is even on the table at this point, though he did state that he hopes the game reaches the public in some form in the future), Patterson has shared around 10 minutes of footage from the game on his YouTube channel (said footage can be seen above). Thanks Patrick! The June Foray Frosty the Snowman audio has been found! YouTuber FamulatorAlt managed to track down the audio on a rare Rhino Records CD release for the film and has posted a full restoration here (30 seconds of which can be seen above). Thanks for the Christmas gift FamulatorAlt! And finally today, just in case you missed it in the forums a few weeks back, we now have a new admin; please make LoserAtFinding welcome in his new role! Until we meet again in 2017, take it easy guys and thank you all for your continued support! Screenshot from the "Invaders from the Deep" episode. Screenshot from the "Revenge of the Mysterons from Mars" episode. LMC Episode 33 - Macy's Thanksgiving Day Parade. What's up guys, dycaite here with some exciting news! Two of the three lost KTMA era episodes of Mystery Science Theater 3000 have been released! 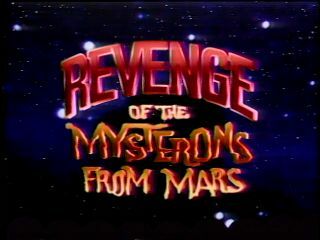 Joel Hodgson, creator of the show, recovered the episodes "Invaders from the Deep" and "Revenge of the Mysterons from Mars" and, as a Thanksgiving surprise, rewarded backers of the Bring Back MST3K Kickstarter with downloadable copies of said episodes. They can now be found elsewhere online (provided you know where to look), though I would like to add that, if these episodes receive any sort of official follow-up release in the future, to please support their release and acquire them legitimately; the tracking down and releasing of pieces of lost media by their respective creators is definitely something to be commended and I think we should always support these kinds of releases when possible. Also, just in case you missed it in your YouTube subscriptions (and if you're not subbed yet, do it, do it now! ), Randy has released a new episode of the Lost Media Chronicles! This time he covers the lost broadcasts of the annual Macy's Thanksgiving Day Parade, just in time for the celebration itself; you can check it out above. UPDATE: Copies of the two episodes can now be purchased digitally here (episode 1) and here (episode 2). Please show the creator support by purchasing copies if you intend to watch them. The previously-missing Ricardo Lopez "Bjork stalker" footage (NSFL). TheGamerFromMars' A Day With SpongeBob SquarePants video. First up, the missing footage (2 hours worth) from the Ricardo Lopez "Bjork stalker" tapes have been found! Big thanks to Zeus at DeathAddict for the provision of both the streamable, watermarked version (seen above), as well as the unwatermarked source file, available here via MEGA. Thanks also go out to bun39, for tipping us off about the unearthed footage, getting me in touch with Zeus and for mirroring the source file. I am currently in the process of ripping my own DVD copies of the rest of the footage and finally getting those up for you guys (sorry it's taken me so long, Australian internet is only just coming out of the dark ages), so that we will finally have a complete collection (all 22 hours), in the best possible quality, so keep an eye out for those in the coming weeks. Secondly, I just wanted to give a quick mention to a great video that TheGamerFromMars recently did on A Day With SpongeBob SquarePants. The video (co-written by our very own BedHead Bernie) is arguably the best on the topic to date, so be sure to check it out above. One more thing I wanna quickly shine some light on (and which I have had as the sticky message in the shoutbox for a few days now, but, just for those who hadn't noticed, I wanted to mention it here) is that our good friend Charlie aka TheCartoonCatastrophe (he makes some nice lost media videos, give his channel a look) is currently in the hospital after being hit by a car. He is doing fine and is fast on the road to recovery, but I just wanted to send a bit of love his way, so if you haven't yet, please take a second to leave him some well wishes. Get well soon, buddy! That's all for now, take it easy guys! Martin Shkreli streaming "Entrance (Intro)" and a portion of "Rivals". Martin Shkreli streaming a second portion of "Rivals". LMC Episode 32 - Where The Wild Things Are (Unreleased Film Adaptations). Well, no chirpy attitude from me today; this is probably gunna be the most bittersweet notice board post I'll ever have to write. As you will all no doubt be aware by now, Donald Trump IS going to be the 45th President of the United States. What does this have to do with lost media, you ask? Remember Martin Shkreli, that spoiled brat of a pharmaceutical businessman who rose to infamy after increasing the price of a drug used to treat HIV/AIDS by 5,000%? Well, he is also known as being the sole owner of the one and only copy of Wu-Tang Clan's double album Once Upon a Time in Shaolin... (sold exclusively to the highest bidder, ie. Shkreli, in 2015, for a record breaking two million dollars). Shkreli recently tweeted that, were Trump to win the presidency, he would release his entire unreleased music collection (including, amongst other highly prized rarities, the infamous Wu-Tang double album), online, for free. He has since followed through (to a point) by livestreaming Shaolin’s intro track in its entirety, as well as two portions of the second track, all of which can be heard above. Whether or not he fully follows through on his initial promise (which, assuming his collection truly is as vast as he claims, would be a pretty momentous occasion) remains to be seen, but if there's one silver lining in all of this, it's that we'll all be able to enjoy some sweet lost media while the world burns. Finally, on a note of which I can confidently say I AM 100% happy to report, Randy has released a new episode of the Lost Media Chronicles and it's one of his best yet! Check it out above for some much needed escapism. P.S. Don't take my pessimism too seriously, just trying to lighten things up in this dark situation; chin up, America. For those out of the loop, the puzzle culminated in the release of McDonalds.exe, an old, lost (at least, to my knowledge) screamer from the early 2000s that I was lucky enough to get sent a copy of some time back; big thanks to YouTuber 夏娜 for originally supplying me with the file! I figured that this would be a fun way/time to release it. I certainly had a fun time with it and would definitely like to do another ARG some time, a more in-depth one; I hope you guys also had fun following along and I hope the payoff was worth it. Anyone can now download the file here, but beware: while this is not necessarily a "virus" as such, it DOES mess with your computer and for this reason, I advise you to run it only in a virtual machine. 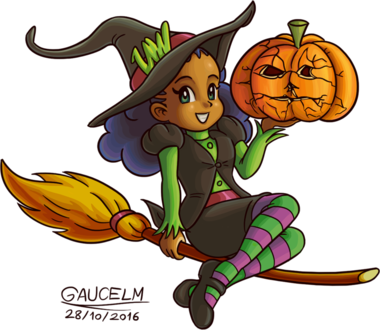 And finally, on this fine Hallows' eve, I present to you a new LMW-tan illustration by Reynard! Very much digging those green and purple stockings, my two favourite colours (also, gotta love that Crack Master pumpkin)! That's gunna do it for now, take it easy spooky! What's up guys, dycaite again with another handful of exciting updates; let's get straight into it! Firstly, the highly sought after martial arts film The Big Boss Part II is reportedly getting a Blu-ray release! This news broke a couple of days ago at enlejemordersertilbage.blogspot.com and while it has not been independently verified, it certain sounds like it's legitimately happening (check the article for more info). Here's hoping! *NOTE: I actually mentioned this discovery on the LMW Facebook page a couple of weeks back when the story broke, but had shamefully neglected to give it a mention in the notice board, so I figured better late than never. Thirdly, Randy has released a new episode of the Lost Media Chronicles! This time he covers the infamous Max Headroom pirating incident (more specifically, the lost audio from the first broadcast). The opening monologue is brilliant (and yours truly gets name dropped), just... Watch it (above). NOW! Well, the 20th of October has been and gone and yet still no word on the Marilyn Manson Antichrist Superstar 20th Anniversary Edition (which was set to contain his controversial short film Groupie. One can only assume that the release has been either pushed back or cancelled :( Hopefully we'll get some news on this soon. And finally today I wanted to quickly bring up something that has been brought to my attention by several people. Some users have proposed that the Shoutbox be replaced with a more typical Chatbox (preferably one that integrates better with the site - no more multiple logins, etc.) 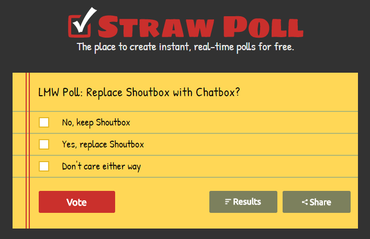 Now, let me just be clear that this is still early days, the Shoutbox is here to stay for some time yet (regardless of the outcome), though I do want to gauge opinion on this matter, so I have set up a straw poll for it; please take a minute to vote, we'd really appreciate it. That's gunna do it for today; until next time! Hey guys, dycaite here; got a few cool things to report on today, beginning with the discovery of a June 2016 YouTube upload of the elusive short film Swirlee! This was one of the earlier articles written on the LMW, so it's really nice to see it finally unearthed. Big thanks to YouTuber artdamaged for the original upload (available here), to Uncle Sporkums for the tip-off and to Notelu for cleaning up and reuploading the short (seen above)! Next up, Randy has released a new episode of the Lost Media Chronicles! This time he covers lost media relating to Disney's Fantasia; check it out above! Thirdly, Bernie has released the second part of his series of videos on Pinwheel’s Clock Man. In this video, Bernie interviews the man himself, Commander Santa; you can see it above, it's definitely worth a watch! Also, since the advent of two score and ten "unofficial" LMW Discord groups, a new one has recently been created and we are officially endorsing it as the site's Discord server. If you wanna check it out, you can do so by clicking here. Aaaand finally, just in case you missed the last notice board post, Marilyn Manson's Groupie is set to be released on the 20th, so remember to keep your eyes peeled for that! That's all for now, catch ya's next time! Storyboard from the Angry Beavers finale (1 of 12). What's up guys, dycaite here with a couple of exciting announcements for the month of October! First up, (and, rather astonishingly) Marilyn Manson's Groupie is getting an official release! Seriously! Arriving on the 20th of October is the 20th Anniversary Edition of Antichrist Superstar, which Manson (while not explicitly mentioning the short by name) recently revealed is going to contain "a legendary video that I had to put into a safe for the past 15 years, for reasons that will be revealed when you watch it"... We can only guess what that might be ;) Props to Marilyn Manson for giving this an official release, especially considering the controversy and questionable legality behind it. Shout out to YouTuber Leoj Ts leoj for tipping us off! Secondly, there is a rumour going around that four unaired episodes of As Told By Ginger and the infamous Angry Beavers finale are set to air on Nickelodeon on the 22nd/23rd and 26th of October, respectively. Now, it's not entirely clear if the Angry Beavers episode referred to is actually "A Tale of Two Rangers", "Bye Bye Beavers", or both, but it is certainly an exciting thought to entertain either way; I really hope this one is true (apparently this all stemmed from a TV guide listing, though I haven't really been able to find a lot of evidence to support this). In any case, I guess we'll find out in a fortnight or so (fingers crossed)! Finally, today, I just wanted to note that we are officially bringing kobochat on as a new staff member, so please make him feel welcome in his new role! That'll do it for now, take it easy! Lost Media Chronicles Episode 29. New Lost Media Chronicles is up. This one is about lost presidential/political debates. With the United States Presidential Debate coming up, election season will bring people hunting for old political debates to help them get some perspective. Also, next month is Halloween month. There will be a new video every week and I'll be dressing up as a character from the work I'll be doing a video about. Also, pardon my general inactivity as of late. I've been busy working on a new series as well as still trying to get you guys new episodes of the Chronicles. Thank you guys for your continued patience. BedHead Bernie and I have been hard at work at doing further research on the Pinwheel "Clock Man" short and, in an effort to spread the word and reignite the search effort, have decided to create collaborative videos on the subject, both of which you can now see above! These videos (in the form of an Animation Warehouse episode and the first episode of a new show of mine, LMW Retrospectives), present all of the information on the short to date, please check them out and pass them on to give the Clock Man the best chance of being found! Lost Media Chronicles Episode 28. What's up guys, dycaite here with a quick notice board post today, to let you know that a new episode of the Lost Media Chronicles has been released! In a rather timely fashion, this time Randy is tackling the topic of the Olympics; check it out above! Also, some of you may have noticed that we have brought on BedHead Bernie as a new staff member, but for those who didn't, consider this his official induction :) Welcome to the team Bernie! That's it for now, catch ya's next time! Well, that was quick! Can't remember the last time I had to add a new notice board post just 2 days after the last one... Anyway, dycaite here with some big news! The highly sought after 2003 Nickelodeon animated TV movie The Electric Piper has been found! Unless you've been living under a rock, you'll know that this one has been pretty high up on the list of wanted lost media for some time now; HUGE thanks go to the anonymous contributor that provided it yesterday and to their source, an unnamed person that worked on the film! You can watch the movie in full via the above link, or you can download the original source file here (link only active until August 12). The other thing I wanted to mention is that Bedhead Bernie recently released an excellent episode of The Animation Warehouse wherein he details the search for Cracks. It's the most comprehensive video on the subject to date (and features me!) and is definitely worth a watch! Lost Media Chronicles Episode 27. What's up everyone, dy here with another notice board post for y'all. A few things today; first and foremost (in case the word on the street has not yet caught up with you), the mystery of A Day With SpongeBob SquarePants has officially been solved! It's really too much info to go into detail here, so I highly recommend watching both the above video as well as the one linked to at the end to get the full story. Great work by the search group, we can finally close the case on this one! Secondly, a new episode of The Lost Media Chronicles is here! This time Randy takes a back seat as guest host Lauren (aka The Cartoon Physicist) takes on Mystery Science Theater 3000. Good stuff, guys! And finally, I just wanted to bring a bit of light to a new project of mine, a mixed-bag video game trivia web series called 12UP. What does this have to do with lost media, I hear you ask? Well, I cover trivia from 5 categories on the show, one of said categories being lost/obscure games. You can check out the newest episode (ie. episode 2) above and episode 1 can be found here! That's all from me today, catch ya's next time! The Gravity Falls pitch pilot. Hey guys, dycaite here; as many of you have probably heard by now, the unaired Gravity Falls pitch pilot was released yesterday by creator Alex Hirsch! Hirsch released the pilot online, in its entirety, as a reward for fans solving one of the puzzles in the Cipher Hunt that began on July 20 and ended with the discovery of the elusive Bill Cipher statue glimpsed at the end of the show's final episode. Great to see this has made it out into the open; big thanks to Alex and everyone else involved in the Cipher Hunt who helped this rarity come to light, you have no doubt made a lot of fans very happy! Something else that I wanted to quickly mention (and something that I brought up in the forums) is that we are currently taking questions for our upcoming LMW podcast's Q&A segment, so if you have any questions you'd like to ask any of the staff members, or any opinions of ours you would like to hear, please let us know! That's all for now; cya round! "Ready 'n' Steady by D.A. 30 minutes from The Day The Clown Cried. LMW-tan is ready for some spring cleaning! Hey everyone, dycaite here with a new notice board post! First up (and rather amazingly) the infamously elusive track "Ready 'n' Steady" by D.A. (notable for having appeared on Billboard's Bubbling Under Hot 100 chart for a short time and then vanishing completely for decades to come) has been unearthed! It was made available to all when it was broadcast on Minneapolis radio show Crap From the Past just over a week ago. It's really quite remarkable seeing this search finally come to an end, given the sheer amount of time people have spent looking for it. An isolated recording of the track (taken from the aforementioned broadcast) can be found above. Massive thanks to all involved in the song's unearthing! Next up, something that happened a while ago that was discussed in-depth in the shoutbox and the forums, but which I forgot to make an actual notice board post for (doi! ): 30 minutes from The Day The Clown Cried surfaced last month. Normally I'd use exclamation marks, but since this happened literally a month ago (again, my bad), everyone has probably already heard about it by now. For those that hadn't, though, the footage in question can be seen above, originally courtesy of Vimeo user Kay Brown; it consists of a "condensed" version of the film using scenes taken from a recent German documentary on the film, as well as previously leaked shots (amongst other sources). If you haven't watched it yet, though, do! It's a pretty huge deal. Finally, LMW staffer and all-round legend Gaucelm (aka Reynard) has produced another kawaii LMW-tan picture (which we are now going to use to designate articles that need cleaning up - get it? 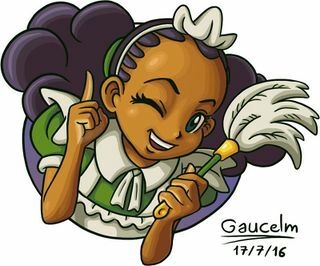 :P) Thanks Gaucelm! Lost Media Chronicles Episode 26. Hey, guys! Shoegazer here with a brand new episode of the Chronicles. This time, we cover the lost films and internet videos by the famed Brad Jones aka The Cinema Snob. And guess what? he was kind enough to let us interview him! That being said, please do not harass Mr. Jones about his lost films and videos. It's already awesome enough he's stepped forward and talked about them, shedding light some common theories of the works. Also, this episode took a really long time to make, I apologize for the long delay in production, I promise the next one will be out much sooner! Hey guys, dycaite here with a quick but very significant update. Two days ago, Abraham Riesman of vulture.com received a follow up phone call from one Mollie Nelson (the same Mollie Nelson mentioned in Riesman's original Christine Chubbuck article from back in January), the woman suggested to have had, at one point in time, the Chubbuck suicide footage in her possession. It has now been officially confirmed that Mollie Nelson does indeed still have the tape, but also that she has recently grown uncomfortable with the amount of people asking her if they could see it that she has since handed it over to a "very large law firm" for safekeeping. Riesman then went on to post a follow up article detailing these new revelations (definitely check it out for the full rundown on the situation), causing shockwaves online, as many people believed that the Chubbuck tape was likely gone forever, myself included. While this may not be the news on the Chubbuck tape many have been waiting decades to hear, it is still a massive revelation and a huge deal for me personally. So there you have it, the Chubbuck tape exists. Now, the question remains: how long until it leaks? Only time will tell. Lost Media Chronicles Episode 25. What's up guys, dycaite here with new notice board post! Late last month, ~4 minutes of footage from the unreleased 1994 Akira Genesis/SNES game surfaced on YouTube, via a 1994 CES recording provided by PS Nation (with the Akira footage having been isolated and re-uploaded by Unseen64, as seen here). This is a pretty cool development and it's fascinating to get a more extensive look at some of the game play! Thanks guys! Three nearly-complete episodes of Someday School have been unearthed, first appearing on YouTube and later being mirrored on archive.org after said YouTube links were taken down. The episodes in question can be found here; thanks to everyone involved in their unearthing! 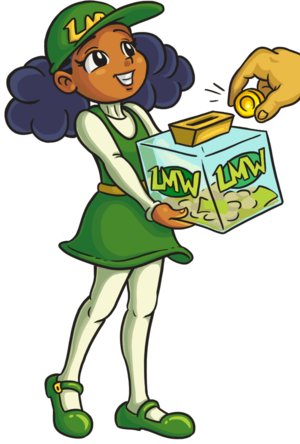 Secondly, the LMW's Patreon has a new goal! If can we reach a pledge amount of $150 per month, I will begin producing a weekly, hour-long lost media podcast. This is an idea I have been tossing around for a while now, but have not had the resources to do so; I figured that financing it in this way would allow me to do so comfortably :) We're almost halfway there, so if you are interested in the prospect of an LMW podcast, then please consider supporting the site and pledging; whether it's 1 dollar or 100, every pledge is immensely appreciated! Lastly, Randy has released episode 25 of The Lost Media Chronicles and this time he is covering the lost early builds of Kirby Air Ride; you can check the episode out via the above link! That'll do it for now. Catch ya's! Hey guys. It's the Shoegazer with a new Lost Media Chronicles! This time we cover the famous horror game I Have No Mouth And I Must Scream. Released in 1995, it had a ton of controversial content cut from it before its release. You'll notice this episode has a bit more theatrics added to it. That's because I wanted to try something new with it. Hope you guys don't mind! Keep seeking that lost media and take care! Hey guys. It's the Shoegazer with a few updates for you guys. First off, We would like to apologize for the difficulties the site has been having. For lack of a better way of stating it, we've been having financial problems staying afloat. We have decided to set up a Patreon for the site, and we humbly ask for your support. If 30 people donated 2 dollars a month, this site could easily stay online. Anything you guys can do to help is greatly appreciated. Secondly, I have a brand new episode of the Lost Media Chronicles posted as of yesterday. This episode we cover the lost and unreleased games in the Pokemon franchise. That's right, it's video game month for the Chronicles, meaning we're covering the one big subject we've barely touched up on for the series. Feel free to check it out above. Thanks much for your endless support, guys. Keep seeking out that lost media! Have a great day! Billy and Mandy in: Trepanation of the Skull and You. Just For Kicks (2006) The Complete Series Part 1. Just For Kicks (2006) The Complete Series Part 2. Lost Media Chronicles Episode 21. Firstly, for those who missed it, the TROMAnimation Film Festival took place a few nights back and was indeed streamed online, including Maxwell Atoms' much anticipated Billy and Mandy student film (which has since been separately uploaded by the man himself in its best available quality, as seen above). Big thanks go to both Maxwell Atoms and the folks from Troma for putting this event on and for being kind enough to also provide the content online; your efforts are greatly appreciated! Next we have a surprise unearthing that was uploaded to YouTube just a few hours back and that is the complete series of Nickelodeon's 2006 series Just For Kicks. Big thanks to YouTuber theSuperMetroid02 for the provision of these elusive episodes! It's one thing for a single episode of an almost entirely lost series to come to light, but to see an entire series unearthed in one fell swoop is truly impressive! That'll do it folks; 'til next time! Big and Little Wong Tin Bar. 1995 Siggraph reel (Pixar ad at 8:19). Lost Media Chronicles Episode 20. What's up guys, dycaite here with some more lost media news! First up, Big and Little Wong Tin Bar (most notable for being the debut film of Jackie Chan, when he was a young child) was uploaded to YouTube in its entirety back in early February! Big thanks to Chinese YouTuber 吹啤啤 for the provision of the film and to Anthony Banchieri for the tip off! Next up, Pixar's "Pinhead" Levi's commercial has been found! It was uploaded by YouTuber Xpresi Dent in October of 2015 as part a 45 minute Siggraph reel from 1995; the ad in question can be found at the 8:19 mark. Thanks to Xpresi Dent for the upload and to Harry Wong for the recent tip off! Moving on and LMW contributor ThaWarden (aka B00TL3GG3R)'s search for the English dub of IMP, Inc. has come to an end, with the short being uploaded to YouTube a few days back! YouTuber duh dee dee uploaded the video after being contacted (regarding a review of the short that he previously written) by ThaWarden. Nice work guys! On one final note, for those of you in or around New York, don't forget that the lost Billy and Mandy pilot "Billy and Mandy in Trepanation of the Skull and You" is being screened in Brooklyn on April 30th as part of Troma's TROMAnimation Film Festival. Kudos to all involved in the short's unearthing; here's hoping it manages to reach a wider audience soon! That'll do it for now; catch ya's! A new episode of The Lost Media Chronicles is now available. To those of you who tried to watch it earlier, but noticed that Sony initially blocked it due to "copyrighted content" (even though my video fits the terms of fair use), I now have it back up, at least temporarily. Hopefully it'll stay up, but I doubt it will. Sony is usually pretty quick to reject these claims, unlike Warner Music Group who can take up to a month to reject it. If they decide to permanently block the video worldwide, don't worry, Trey and I will edit out the offending clips and repost the video. This episode is about Jeff Buckley, a now-legendary musician who drowned in the Wolf River in 1997 at the age 30. Ever since, his music has only gone on to influence countless other artists, many in other fields. Recently, some of his tracks have been released by Sony via the new album You and I. This is proof that Sony is likely listening to fans. However, I have started a petition to help support more unreleased tracks by Buckley to be released. Please, check out and sign the petition here. Thank you guys so much for watching and remember to keep seeking out lost media! Radiohead's "Lost" Music Video for "Let Down". A piece of Lost Media I covered on The Lost Media Chronicles has been found! The full version of Radiohead's music video for the song "Let Down" was found. Buried in the depths of the video director's website for years, a fan dug deep enough and found it sitting around there. It goes to show the benefits of this show! It helps spread awareness and gets lost media found in some cases! For those of you who want to see the original video I did on it, you can catch it here! Special thanks to YouTube user Vini M. for uncovering it and to the Simon Hilton for including it on his site! So the video posted yesterday was an April Fool's Day prank. To make up for any possible outrage, don't worry, we will do a straight episode on the A Day in the Life of Spongebob Squarepants soon! Here's the previous episode of LMC, and we'll have a new, ACTUAL episode out next week! Thanks as always for watching, and I'll catch you guys next time with another episode, hopefully within the next week or so. Hello, all! Here's a brand new Lost Media Chronicles for you. This time I cover the much sought after lost documentary, “A Day With Spongebob Squarepants: The Movie”. Though the release was formally announced and planned for November 2011, it was mysteriously pulled for unknown reasons and, as of yet, has never been viewed by the general public. In this episode, I go over all the information that has come to light about the movie, as well as the sketchiness of the company that was set to release it. Thanks as always for watching, and I'll catch you guys next time with another episode, hopefully within the next week or so. Hello, all! I have a brand new Lost Media Chronicles for you guys! This time it's about the lost animated films by Quirino Christiani. Having beat Walt Disney to the punch for the first full length animated feature film by 20 years, Christiani often remains an unsung hero in animation history. Here I talk about his life and his lost work. Thanks for watching, and I'll catch you guys next time with another episode, hopefully by the end of the month. Shoegazer here with another episode of the Lost Media Chronicles. Sorry about the delayed production. Basically Arizona has been getting a nasty flu going around making everyone sick, and both me and Trey got it. Naturally, that slowed things down, but we got another 2 episodes due out by the end of the month, with one hopefully to be completed by the weekend! This new one is about the choreography to the Rite of Spring. 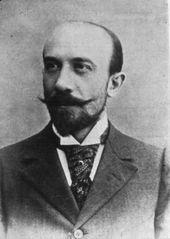 Premiered to controversy in 1913, The Rite was only performed 8 times before shutting down. The original choreography has been feared lost, though reconstruction efforts have surfaced many times over the years. Thanks again for watching guys, and I'll see you hopefully in a couple of days with another one of these. What's up guys, dycaite here and with a new month comes a new notice board post (though, admittedly, a bit of an overdue one). First up, something that slipped under our radar for nearly a month was the unearthing of the Super Nintendo Lobo prototype, which was obtained, dumped and subsequently released online on February 10 by assemblergames.com user marvelus10. Thanks marvelus10! Secondly, LMW staffer/French native Reynard has generously translated the Motherboard article on lost media (the one from two posts back, for which I was interviewed) from French to English, making it much more comprehensible than it was via Google translate; you can check it out here. Thanks Reynard! Speaking of Reynard, he has also recently taken the liberty of creating a TVTropes page on the LMW, providing a rad illustration of what it'd be like if Trope-tan and LMW-tan met to go with it; nice! Additionally, you may have noticed some cool new illustrated thread icons in the forums, which also come courtesy of Reynard. Thanks again, man! That oughta do it for now; catch you next time, folks! Lost Media Chronicles Episode 15. How's it going guys, your friendly neighborhood Shoegazer here with a brand new episode of The Lost Media Chronicles. Now, this one has been up for a week now, but we've just been so busy as of late that we forgot to post it here. So, with that said, please enjoy. The next episode is set to be out hopefully next Friday, so keep an eye out for that. Thank you guys all for watching! Lost Media Chronicles Episode 14. Hey guys, dycaite here again with another handful of updates and goings-on. Secondly, the Motherboard article by Sébastien Wesolowski for which I was recently interviewed (as mentioned in the previous notice board post) has gone up. You can check it out here, but keep in mind that the article is in French and (for most of us) requires translating, so expect one or two odd translation imperfections in the text. The third thing I wanted to mention is another retrospective update that slipped through the net; back in early December of last year, the full, proper version of "2 Ft. O' Buttcrack" (ie. the complete, unedited song, not the version extracted from Dumb and Dumber) was made available online courtesy of its composer, Billy Goodrum! You can check it out here via Billy's own YouTube account. Thanks Billy, it's really cool to finally be able to hear this infamous track in its entirety! Next, I wanted to make note of the fact that a complete, intact 35mm workprint of The Dream of Hamish Mose has been rediscovered! You can read all about its rediscovery here. While there are no solid plans as of yet to make the film available to a wider audience, the owners of said workprint appear intent on getting it out to the masses; here's hoping they succeed in doing so! What's up guys! dycaite here, back with a quick update this fine February. You may have noticed a new face popping up around the website over the past few days, in the form of LMW-tan (LM-tan for short), an anthropomorphic personification (or gijinka) of the site, created and illustrated by our own Reynard (aka Gaucelm) and we are happy to say that she has officially become our new mascot! Big thanks to Reynard for these wonderful illustrations; I feel that LMW-tan is really going to bring some more personality and flair to our organisation :) Expect to see more of her around from now on! Thirdly, I mentioned in the last notice board post that I had been interviewed by New York Magazine's Abraham Riesman for an article on Christine Chubbuck's suicide tape; said article has since been published at vulture.com, you can check it out here. Speaking of interviews, I've been asked to do another one (this time on the topic of lost media in general), with Sébastien Wesolowski of the French branch of VICE's Motherboard magazine, so I'll let you all know when that goes live too. That's all for now; cheers guys! I'm back with a quick update on a few goings-on 'round the site that I feel you should all be aware of, plus a bit of cool news. Firstly, you'll no doubt have notice the consuming amounts of spam accounts being created of late and I just wanna reassure you guys that we are working hard to stop them getting in. Incidentally, I went through and banned an absurd amount of dummy accounts by IP last night, which should hopefully hold them off somewhat. Anyway, as careful as I was to follow the pattern of fake account names, it's entirely possible that I might have accidentally banned a legitimate user; IF you find your account banned and are a legitimate user of the site then please let me know and I will unban you ASAP. Like I said, I was very meticulous in weeding out spam accounts and as such don't think there are going to be many, if any, real accounts that got removed in the wave of deletions, but you never know and if it turns out that I have made a mistake, then I sincerely apologise. Also on the note of spam, we're currently enforcing email verification for accounts, new AND old; if you don't provide an email address then you will not be able to edit pages. You can add an email to your account via your preferences page. I also wanna give a big shout out to Robin Deurloo for assisting in combating the spam and lending me his time and knowledge of MediaWiki over the past few months; thanks Robin, I think I speak for everyone when I say we appreciate it a lot! Secondly and on a more positive note, an official Cheez TV Facebook page has been set up by former hosts Jade and Ryan, who have begun posting footage from the show! For someone like me who grew up with Cheez TV, this is really exciting; I'm looking forward to any more videos to come! As for what else I've been up to, I recently had an interview with Abraham Riesman of NYMag regarding the Christine Chubbuck tape (who, if you hadn't heard yet, is the subject of not one but two Sundance entries this year), so keep an eye out for that. Hey guys, I have a new episode of the Lost Media Chronicles out and for once it's not music-related. Unfortunately, I have to again break my promise about the video game episode. Without divulging too much information, I've been dealing with roommates that have become drug addicts, and my gear that I would have used to film that episode has gotten stolen. So, sadly, that episode will have to be postponed until I can get new gear for it. So this episode will be covering the lost silent Felix the Cat shorts from the 1910s to the 1920s. Onwards to more positive news. 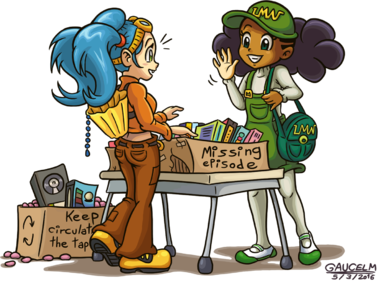 Because my music review show 2Beats+ is on hiatus, that means that LMC will be updating as frequent as we can. We are shooting for weekly episodes, and we'll be covering more of a variety in topics.